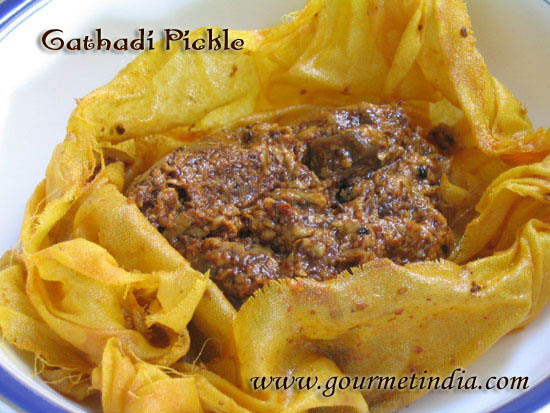 When Archana announced One D Salad, I thought I will come up with some good sort of salad, since I always have simple sliced cucumber, radish, beetroot etc as salad or at the most, the gujrati style cucumber-tomato-onion chopped salad. But that day I just couldn’t convinced myself to bite on those parathas.I did not had time to make something else. I kept staring at the boiled moong , still with the same question in my mind “To eat or not to eat”? 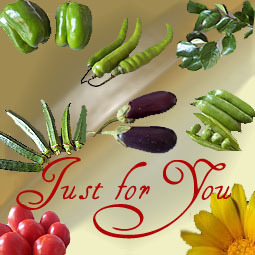 Thanks for all the tempting recipes.Can you pls tell me some veg recipes cooked in zero oil. Thanks so much for the award. The salad looks yummy and healthy. And kudos on getting the man to cook. Alka, Your salad looks nutritious and really appetizing! Oh! Thanks, Alka! I missed my name there:) Thank you! 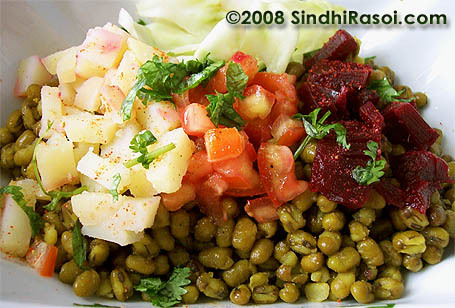 Salad looks great and healthy, I love moong dal will try this soon. Your BIL is really trying out new stuff let him keep going and you can start a section called Bachelor Cooking. Alka, that is one healthy salad! I am so glad to see that cooking doesn’t affect this pulse, because I love it cooked:) Congrats on the awards!